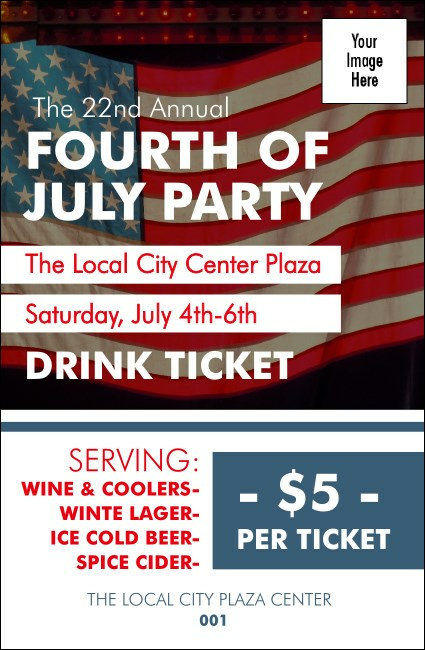 Encourage your guests to cheers to our country’s independence when you sell Fourth of July Drink Tickets at your outdoor event. These ticket templates feature the grand picture of an American flag waving in the wind and give you space to upload your own unique image, like a generous sponsor’s logo or picture of a special guest. Find the right ticket to show your pride at TicketPrinting.com.